Press Shift + F8 before Windows logo appears. 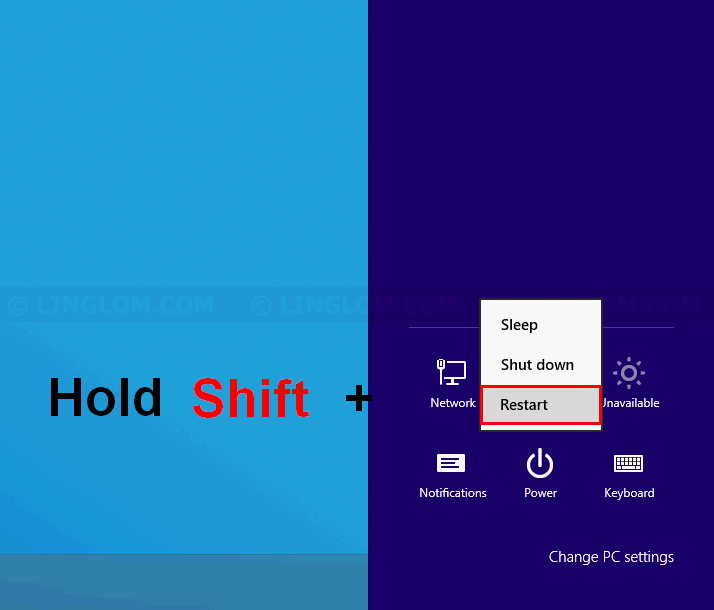 Hold Shift and select Restart on Windows. Edit msconfig to boot into Safe Mode. This is the easiest way to enter Safe Mode, but it may not work with a fast computer, or if you use UEFI, because its startup time is very fast so it’s almost impossible to press the key in time. If you manage to enter recovery mode, click See advanced repair options. Click Restart to reboot your computer. 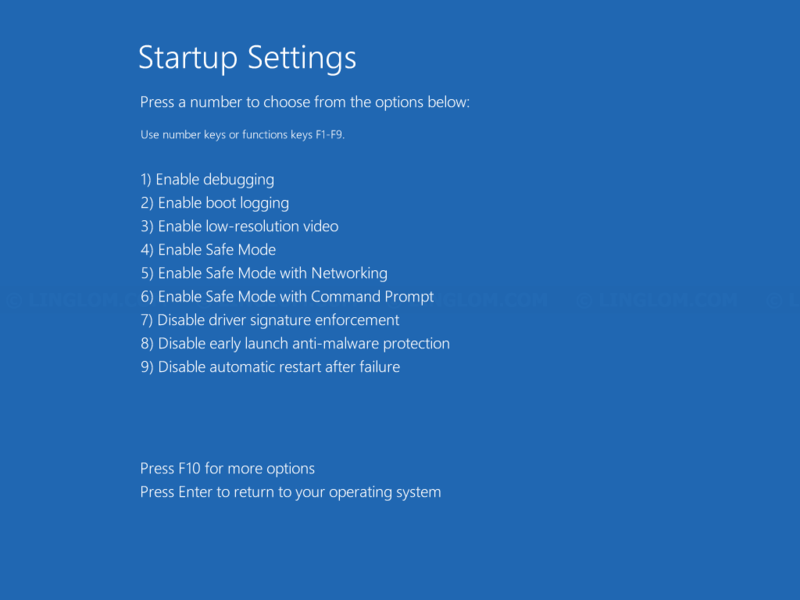 On Startup Settings, you can choose to boot into Safe Mode by press F4, F5, or F6 and you then will boot into Safe Mode. will boot into normal mode. This method requires that you still have access to Windows in normal mode. On Windows desktop, press Windows + I keyboard shortcut to open Settings charm. Click the power switch icon at bottom-right. Hold Shift key and click Restart button to enter recovery mode. Then, you can follow guide on step 1.2 to 1.7. 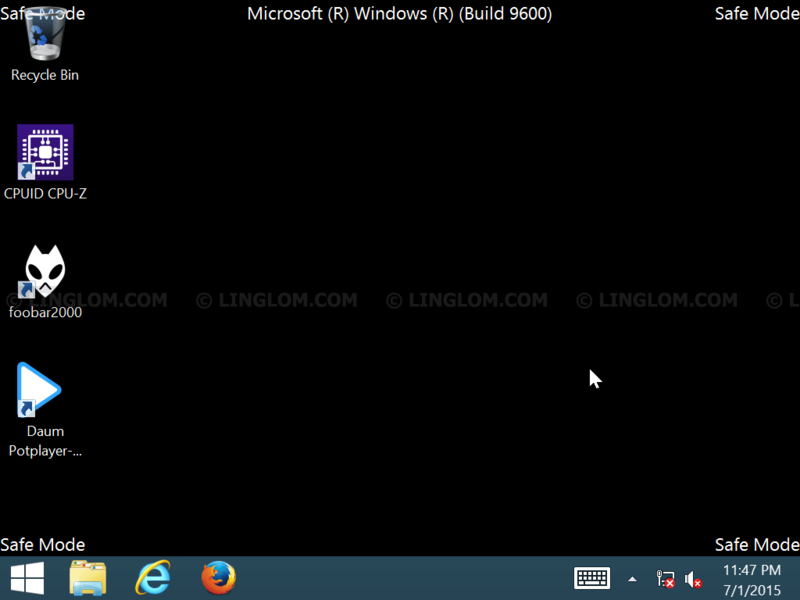 On Windows desktop, press Windows + R keyboard shortcut to open Run window. 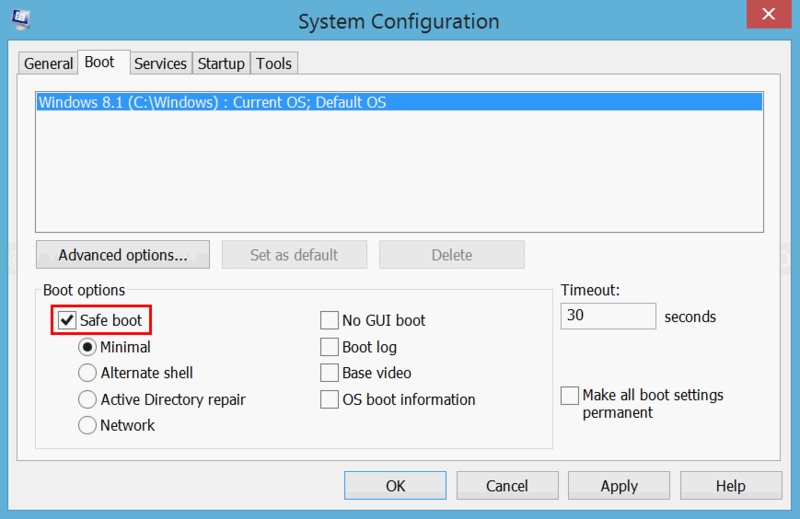 On System Configuration window, select Boot tab. 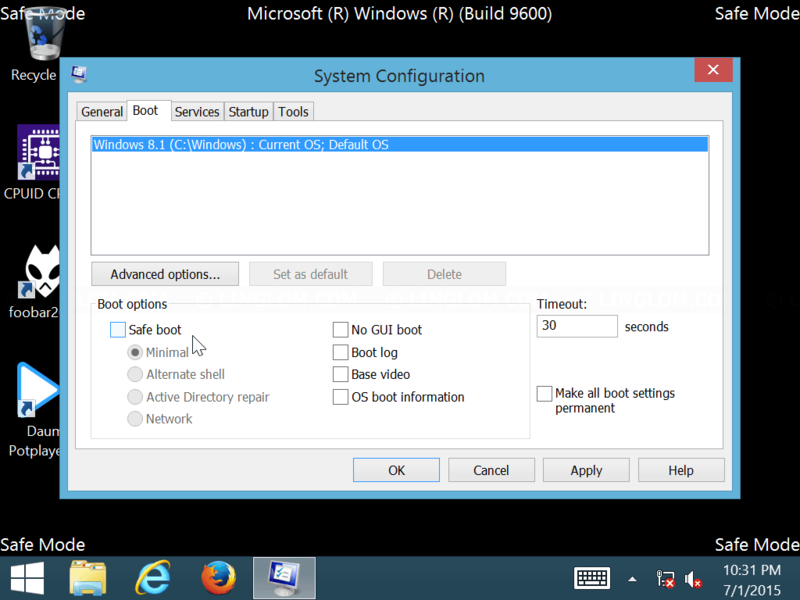 Then, check the option Safe boot under Boot options. Note: If your computer has multiple operating system, make sure to select the correct OS first. Click OK and you will boot into Safe Mode. 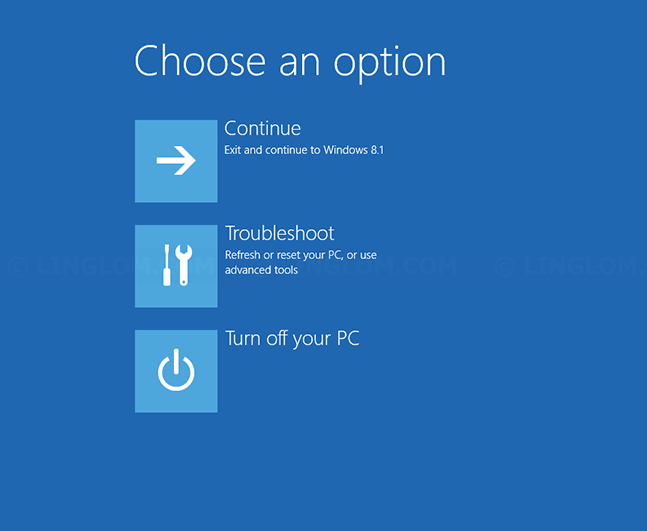 After you finishes in Safe Mode, you have to edit msconfig settings back by uncheck the option Safe boot. Otherwise, it will keep booting into this Safe Mode.